Discover the luxurious possibilities of encaustic – painting with hot wax and colour pigments. 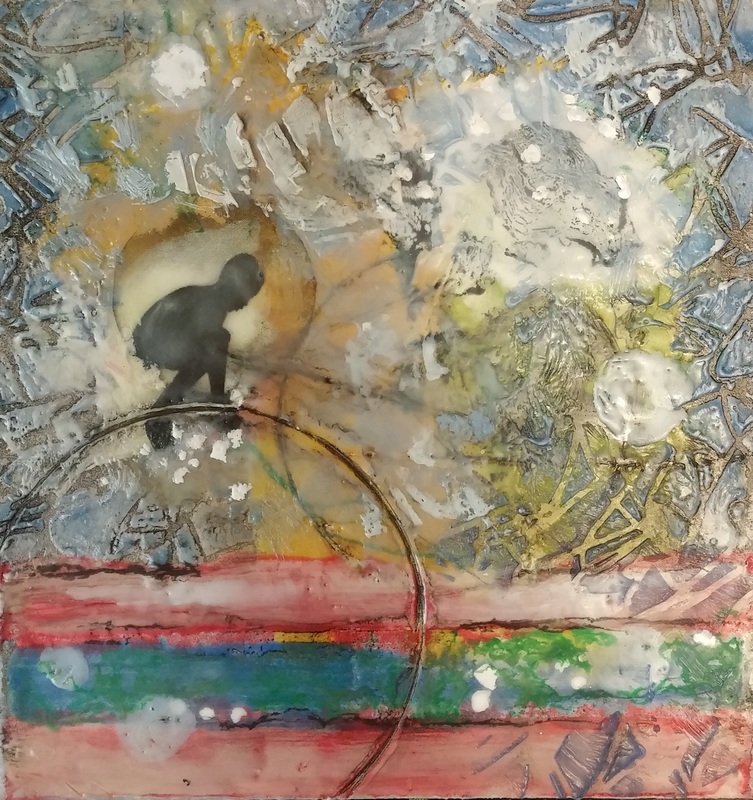 Explore encaustic image transfers using black and white or coloured photocopies, graphite, and oil pastel. Learn how to effectively use paper layering and textured stencils. This workshop is perfect for beginners, or anybody who would like to further develop their encaustic painting skills.